NASSAU, The Bahamas - Minister of National Security the Hon. Marvin Dames said the signing between The Bahamas Government and ShotSpotter Technology was evidence of the Government’s commitment towards fulfilling its promise to equip The Bahamas’ law enforcement agencies with the best available technologies, to assist in the protection of citizens, visitors and national security. “When we came into office 20 months ago we immediately recognised the challenges faced and we remained focused on our commitment as a new Government to explore all measures possible, to assist in the reduction of the unacceptable levels of crime and to return our communities to sanctuaries of peace,” Minister Dames said during the contract signing ceremony held at the SLS Baha Mar on January 23, 2019. Prime Minister the Most Hon. Dr. Hubert Minnis also brought remarks at the ceremony. 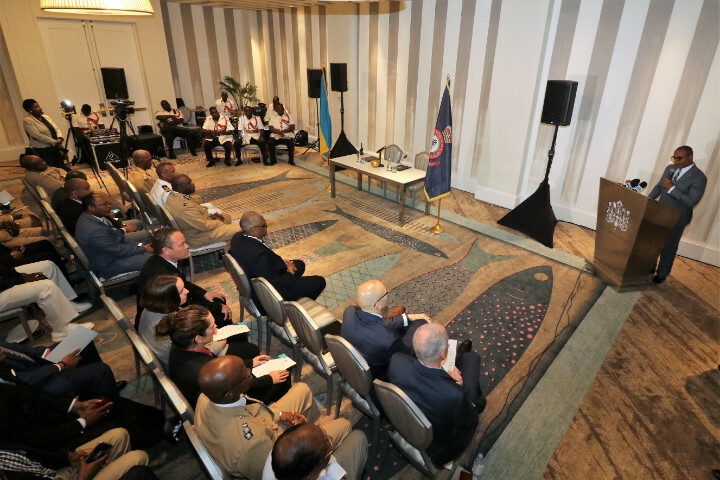 Among those present included a number of Cabinet Ministers, Senators and Members of Parliament; Commissioner of Police Anthony Ferguson; Deputy Commissioner Emrick Seymour and other senior police officers; Commander of the Royal Bahamas Defence Force Commodore Tellis Bethel; Acting Commissioner of Correctional Services Charles Murphy; U.S. Charge d’Affaires Stephanie Bowers Stephanie Bowers and Deputy Chief of Missions Jamie Martin; and a number of senior Government officials. Acting Permanent Secretary Eugene Poitier signed the contract on behalf of the Bahamas Government with Gary Bunyard, Senior Vice President Public Safety, ShotSpotter Technology, representing the company. There were also displays showcasing a number of crime-fighting initiatives being implemented by the Police Force. Minister Dames said the Government understood that any successful crime strategy must focus on a number of points, including the following: a well-trained and motivated Police Force; a Police Force that is respected by and is committed to the building of genuine partnerships with the communities it is mandated to serve; a Police Force that understands the importance of multi-agency relationships to the overall success in the crime fight; and the enactment of modern crime legislation to support the overall crime effort. Also of importance, he continued, were adequate human resources consistent with population growth, national development and increased crime trends; the acquisition of modern equipment to ensure that officers are able to provide timely service to the communities they serve; and the use of modern and innovative crime fighting technology to assist in the overall crime fight. 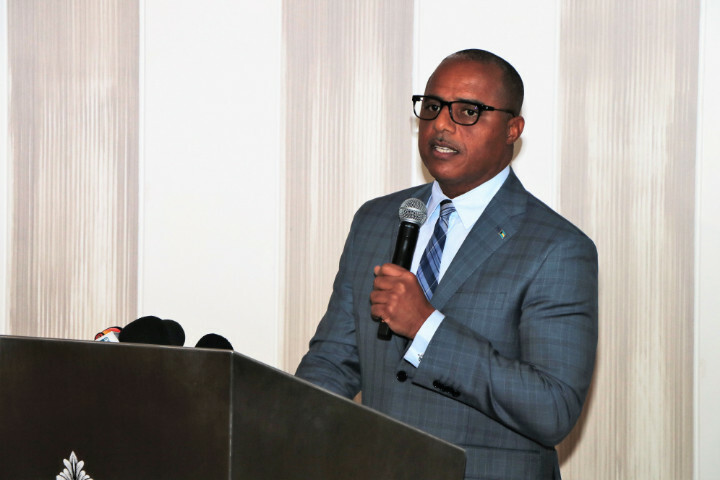 Minister Dames stated that the Government was, indeed, pleased to be partnering with ShotSpotter Technology to introduce this technology to The Bahamas. Minister Dames noted that according to Fox News Channel in 2018, the city of Chicago saw a 43 per cent drop in shootings in 2017 and largely credited the drop in violent crime in dangerous neighbourhoods, such as Englewood, due to the use of its ShotSpotter technology. “A CNN report this month states that homicides have dropped for a second year in a row due to data driven policing combined with technology such as crime cameras and gunshot detection systems,” he pointed out. “Forbes online edition reported that in 2017 in Fresno, California a gunman walked up to a Pacific and Electric Gas Truck and shot to death the employee inside. Minister Dames explained that in 2018, Police Commissioner Ferguson led a team to Miami Dade and Miami Gardens Police Departments and saw first-hand the ShotSpotter Technology in use.